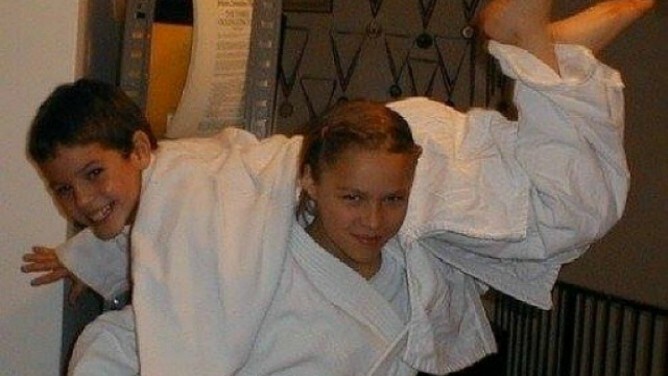 Ronda Rousey began Judo with her mother at the age of 11. Rousey trained with her mother until she was 13 after accidentally breaking her mother’s wrist. At 17, Rousey qualified for the 2004 Olympic Games in Athens, becoming the youngest judoka in the entire Games. Also in 2004, Rousey won a gold medal at the World Junior Judo Championships in Budapest, Hungary. Rousey retired from Judo at 21, working as a bartender and cocktail waitress, and for a period of time, lived out of her car with her dog. At 22, she decide to compete in mixed martial arts.